Today GCmini announced a new line of products to help keep your shop and workbench organized. GCmini's owner says "These are products that some people will look at and say "What? they're just boxes", and others will say "holy crap, I've been waiting for something like this forever". We've made them for the second group". 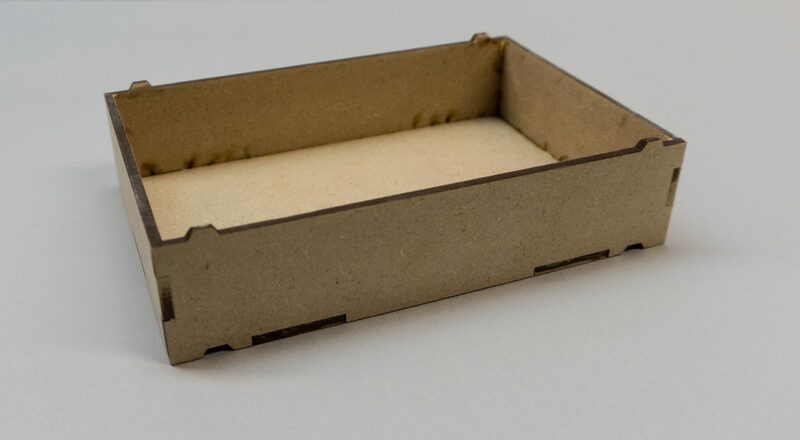 We are calling these Project Boxes, they are small, durable, and stack-able boxes for storing projects you are working on, materials, tools, parts, etc. These will go nicely in a drawer, on a shelf, or on your workbench. 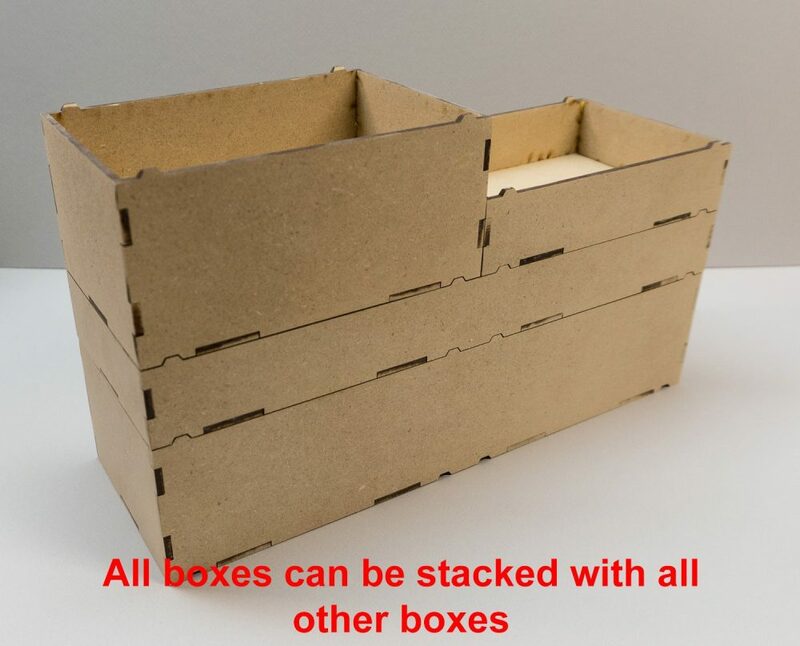 The Project Boxes come in two different sizes; 4" x 6" and 4" x 12" and both sizes are available in two heights; 1 3/8" and 2 3/4" making a total of four different size combinations. I'm going to get a lot of use out of these as I always seem to have a dozen different projects going at once on my bench and I need a good way to keep everything relating to a project together organized, in one container and have the ability to move them out of the way when another project takes priority. Shop at the GCmini online store between now and midnight Sunday May 6th and take 15% off everything in store when you use the coupon code ITSMAY at checkout. Sale includes all items in all categories except special order and custom jobs. To take advantage of this sale and enter the coupon code ITSMAY when you check out. This discount cannot be combined with other coupon codes or rewards certificates. One discount per transaction. 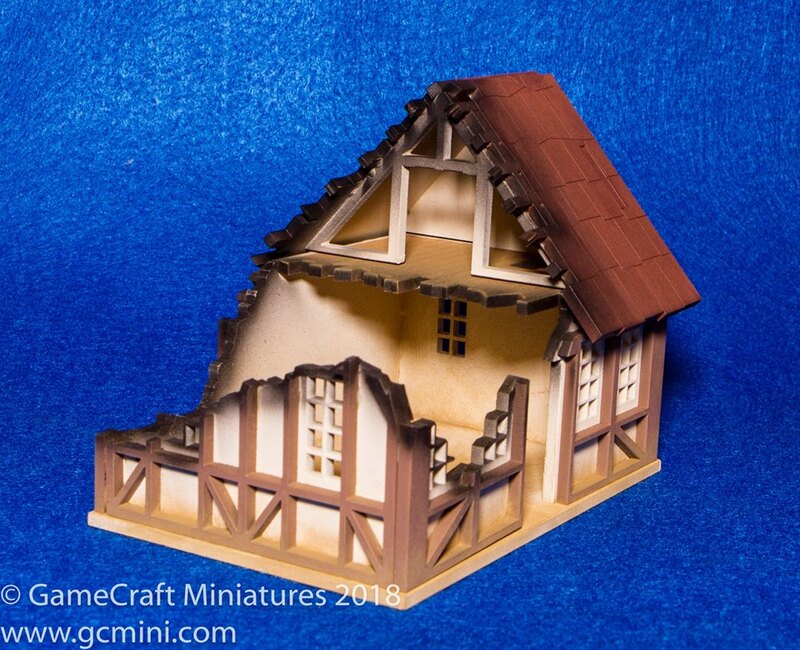 Recently we released a new 28mm European city building. This new building is a corner building and will make a very cool addition to your city/village game board. The model is make of very durable 3mm MDF to give you years of gaming enjoyment. The front facade is three layers deep to give the model an amazing level of detail and depth.. and as you will see in the video, this makes painting and finishing a snap. 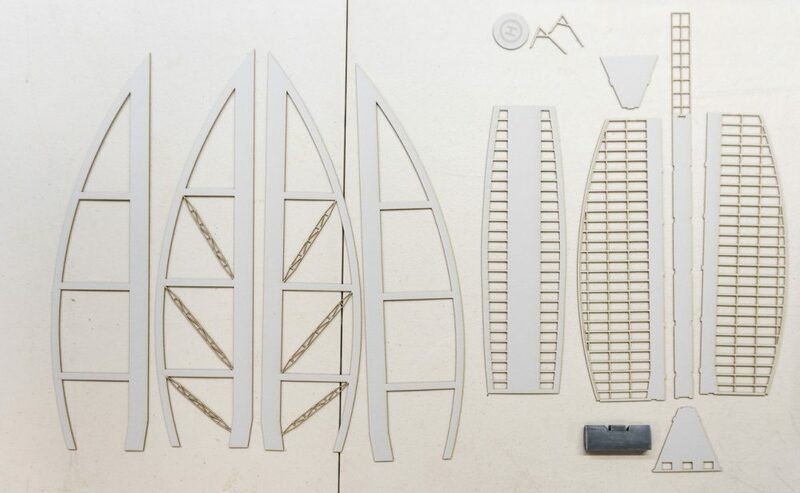 You'll be amazed at how soon you'll be done assembling and painting and back to playing. 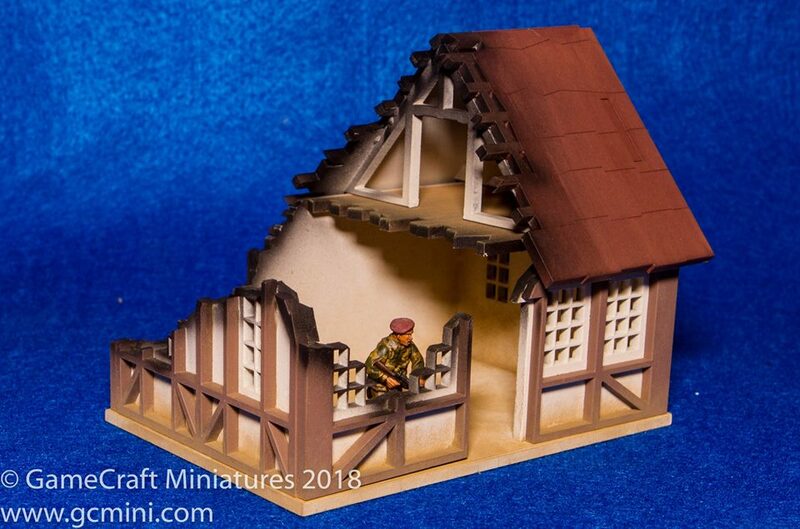 New 28mm building kit added to the webstore. 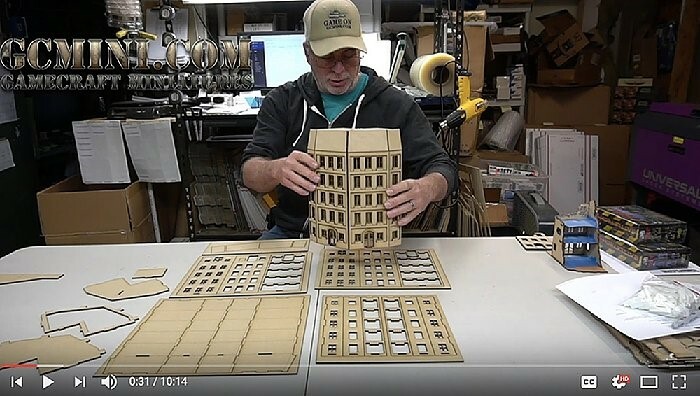 Easy, quick construction and finishing for a great looking model in little time. Here’s a product that’s been over a year in the making, but I’ve finally gotten around to finishing it. This is the famous Berj Al Arab hotel in Dubai, it’s known as “The Sail” due to its distinctive shape. 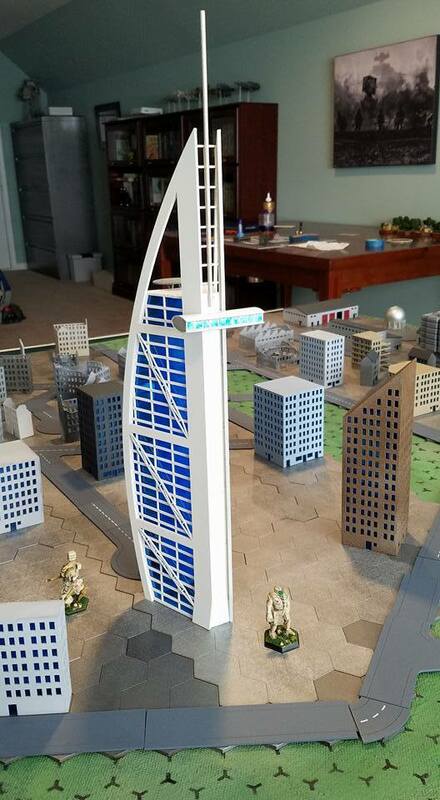 This model is perfect for ultra modern settings and the Sci Fi crowd is pretty excited about it as well. I think it will be really popular in the Battletech community. 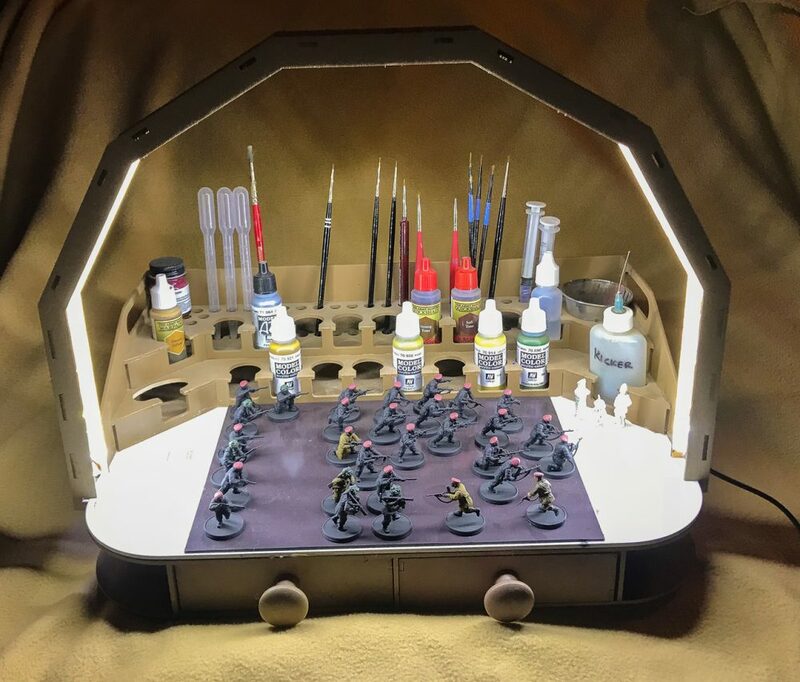 The evolution of the Painting Station Light continues. This new version features two strips of lights and is about 4" taller than the original Painting Station lights. If you have a GCmini Portable Painting Station, you really need to get this add on. The light it provides you when painting is very helpful. The extra 4" in height does not sound like a lot, but it's a real game changer. Having a little extra working room under the light makes a difference you will notice right away. 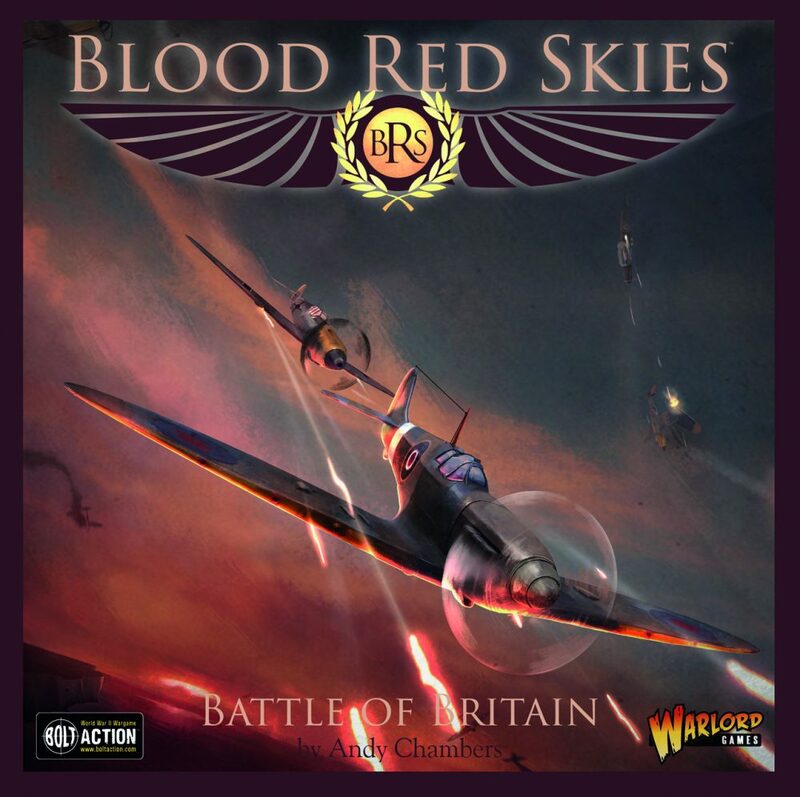 The new WWII Air Combat game Blood Red Skies is released and in stock at GCmini. Blood Red Skies is the new World War II mass air combat game from Warlord Games, written by renowned game developer Andy Chambers. Packed with everything you need to play this fast paced air combat game, the Blood Red Skies starter set does what it says on the tin. To check out the entire line of Blood Red Skies, including all of the expansion packs, click here.